The day I have been preparing for has arrived, and though it is sad (billions dead, blah-blah-blah, etc. ), it is unsurprising, and I have gone to great lengths to ensure the survival of some of the human race. 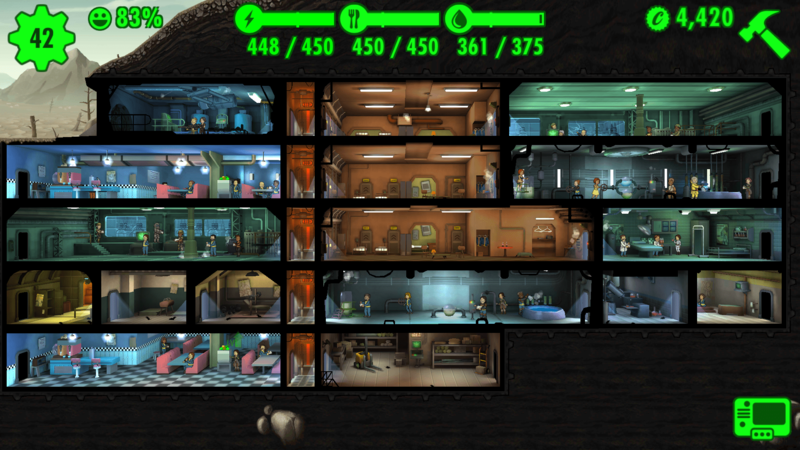 The Vaul-tec vault that we’ve built is plenty for me and my 42 subordinates to withstand the coming dark times. 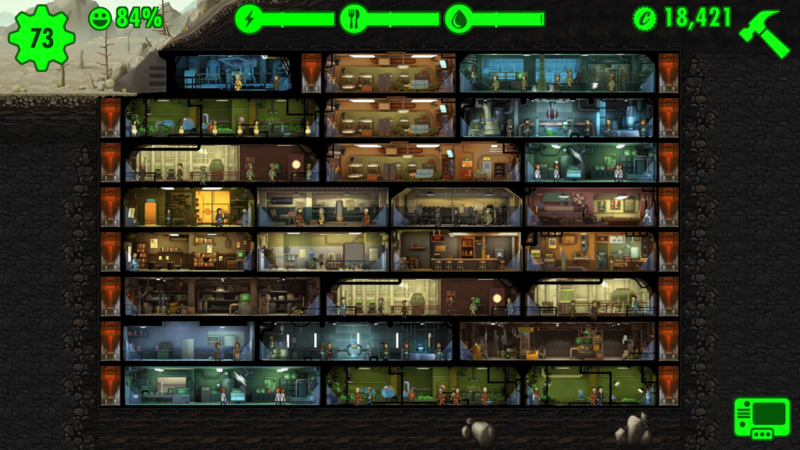 Now to find other survivors and fortify this sanctuary. 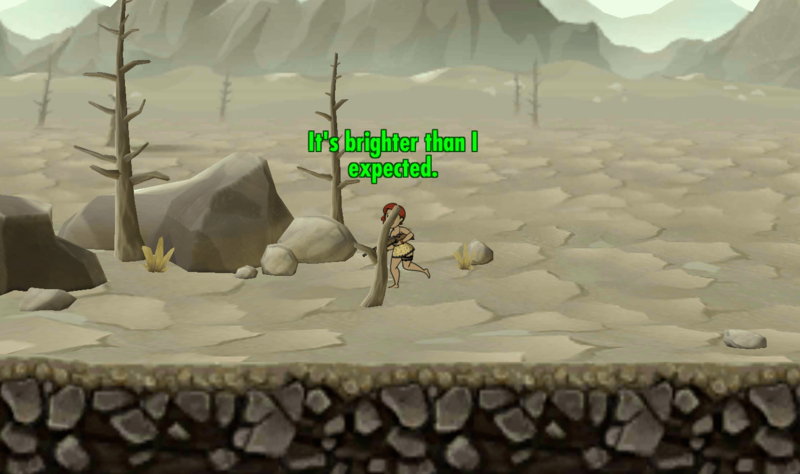 Excursions into the wasteland have managed to find an additional 17 survivors from the wasteland. 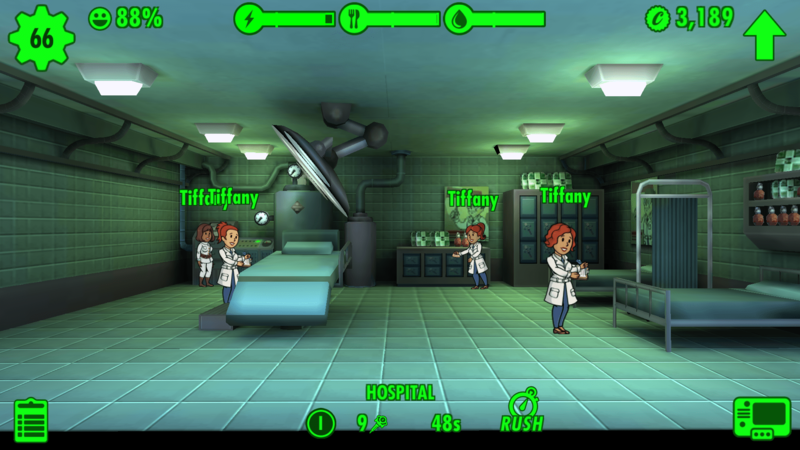 Coincidentally, a high percentage of them are women named “Tiffany” who were discovered in the wasteland wearing only lingerie. 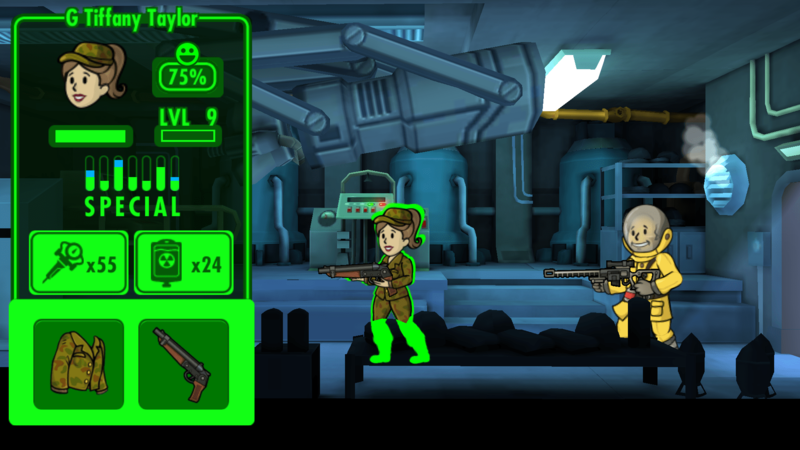 Our expeditions to the wasteland have also proven fruitful in caches of equipment and weapons. Many of the Tiffanys have banded together and formed a great friendship over the coincidence of their shared first name. 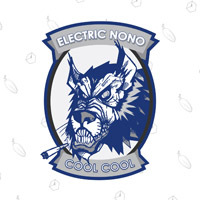 A group of them have managed to cobble together a radio broadcasting center and I have given them permission to send our message into the wasteland in the hopes of finding more survivors. The Tiffanys have proven most helpful. 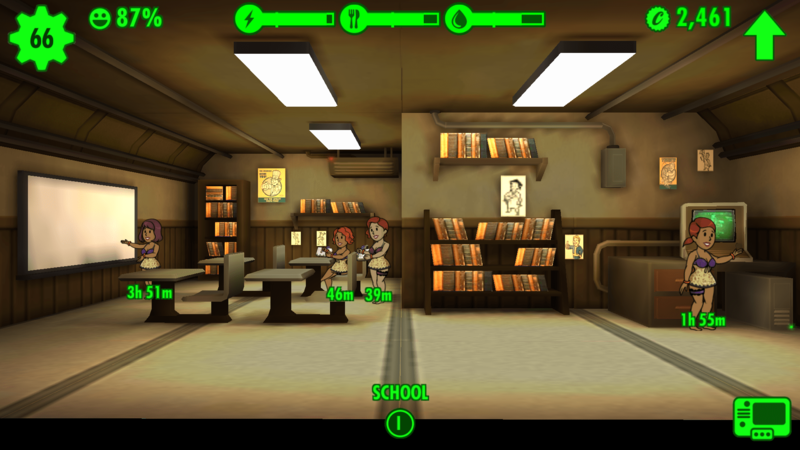 They’ve developed a method of organizing our vault dwellers by appending their floor and job to the front of their name. It seems to have done an amazing job of increasing the happiness of our dwellers by connecting them with vocations that most satisfy them. 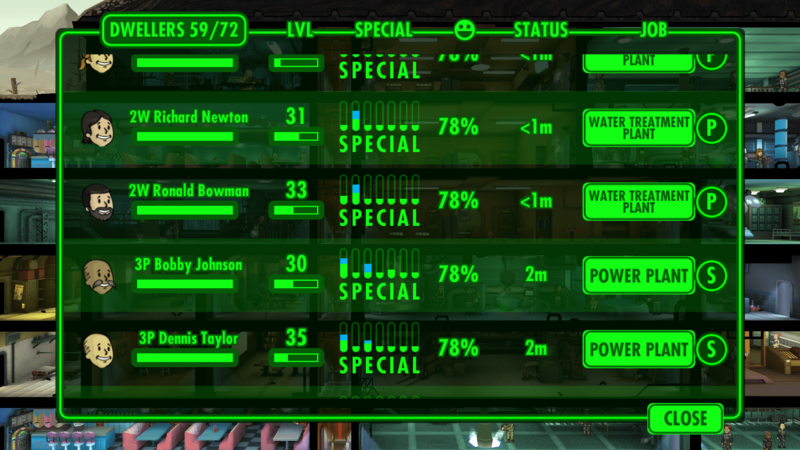 Have succeeded in bringing in 7 more survivors. 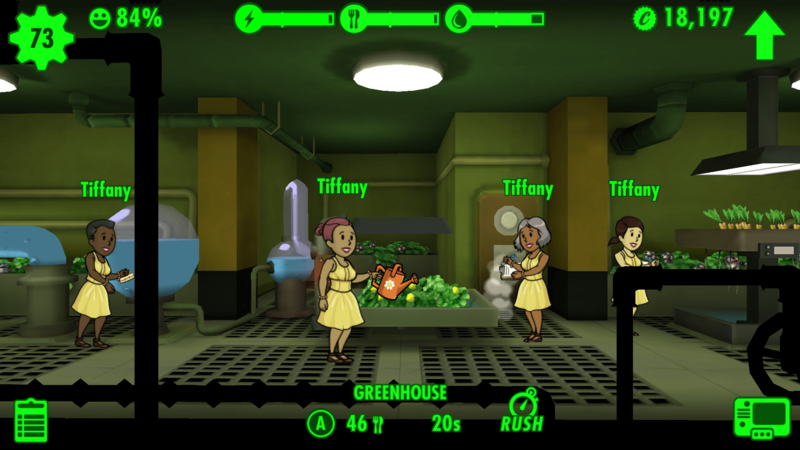 Strangely, they too are all women named Tiffany. Each Tiffany seems more technically and sociologically savvy than the last. 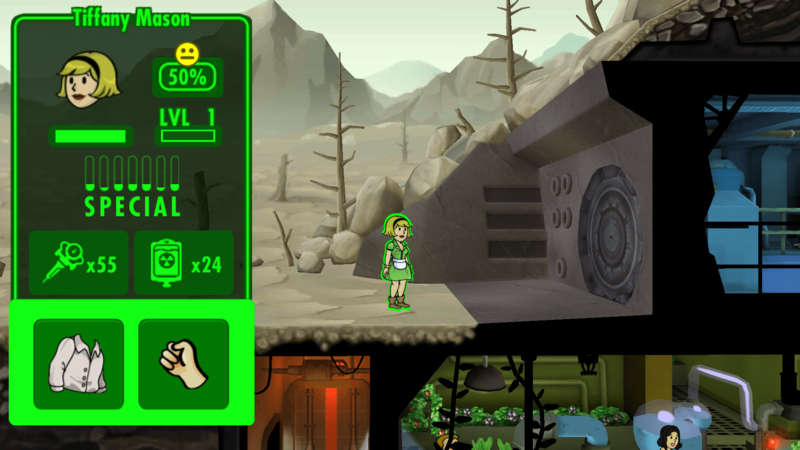 Their suggestions for improvement of vault life are all unerringly insightful and valuable. 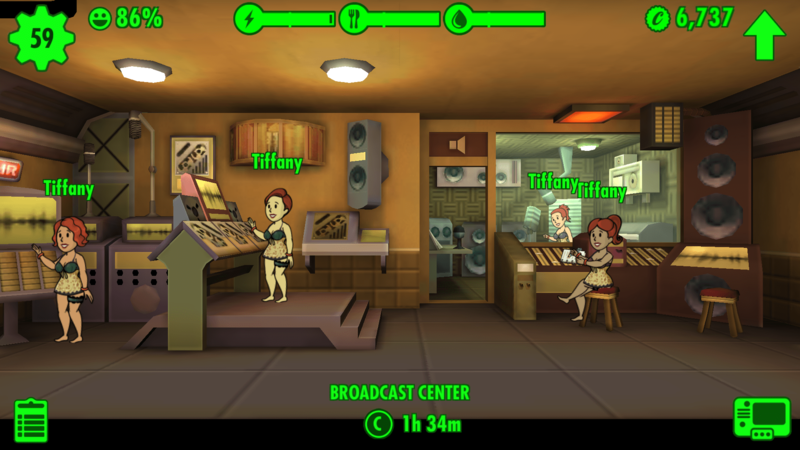 Groups of Tiffanys now not only man the radio, but also have built a hospital and a school. It is a relief to have so many competent people in such valued positions of authority. 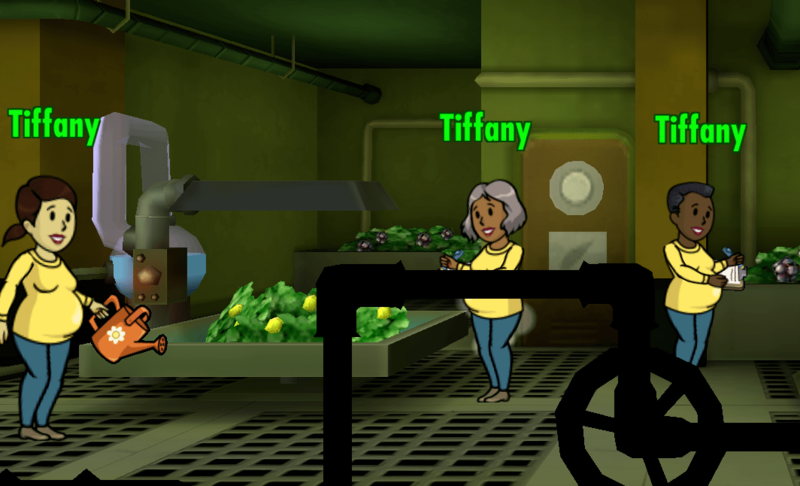 Soon after a Tiffany has returned from the wasteland it seems as though another woman named Tiffany has appeared at our door. 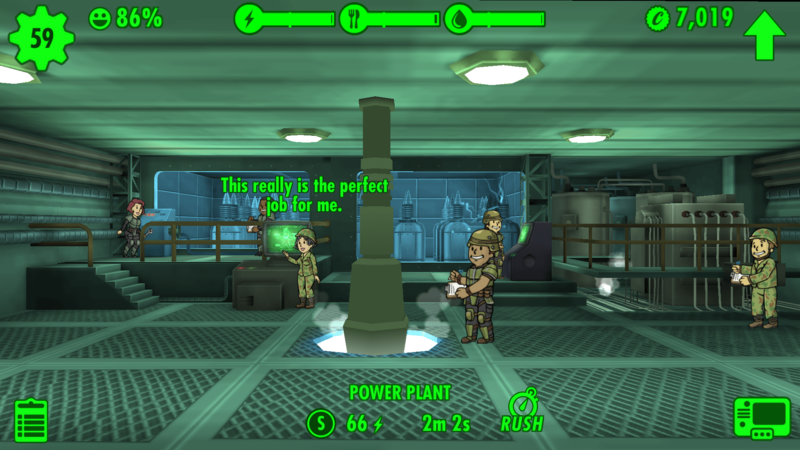 Well, it is worrisome, but we are always glad to welcome more survivors. Under the guidance of some Tiffanys, we have increased our efficiency exponentially. Most clunky power plants have been replaced by high-powered nuclear plants. Restaurants have been replaced with high-yield greenhouses. 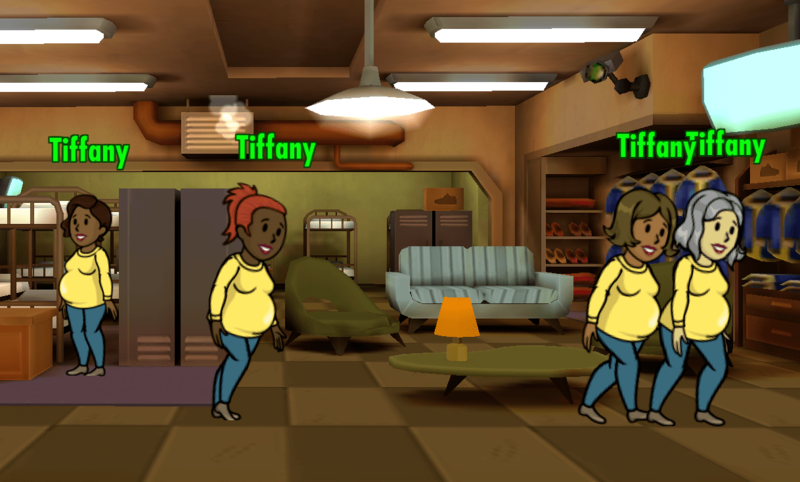 Many of our vault dwellers are so grateful for the presence and leadership of the Tiffanys that they have begun renaming themselves to Tiffany in their honor. 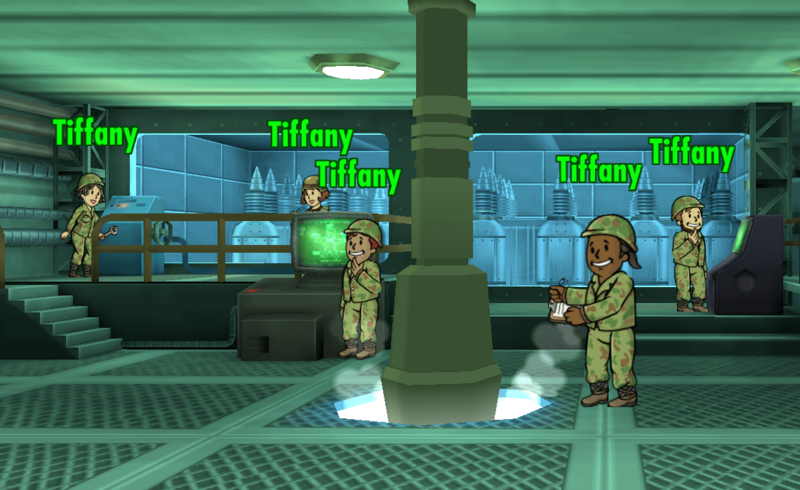 Oh, and the Tiffanys have introduced a new water purification system. This water tastes… good… real good. 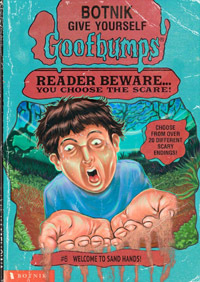 It tastes… good… real good. 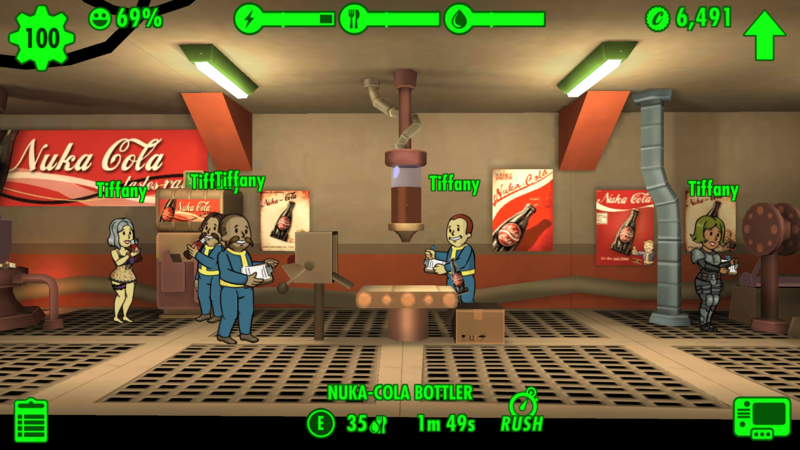 Tags: Fallout, Fallout Shelter, Tiffany. » Next Post: Fools Play Improv in September!